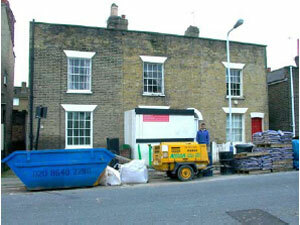 This project involved the refurbishment and extension of two Grade II listed cottages in London. 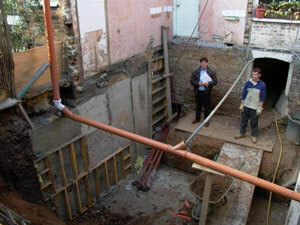 The scope of the work included the excavation of an enlarged lower ground to provide additional accommodation. 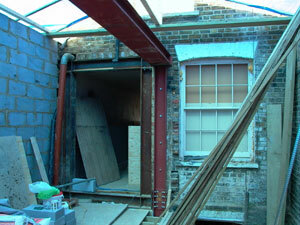 New kitchen extensions were erected to the rear of the building. Structural glass was used to provide maximum natural light into the houses. 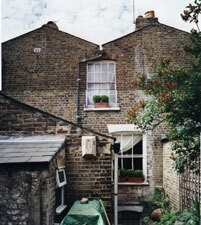 Retained front elevation of the property. 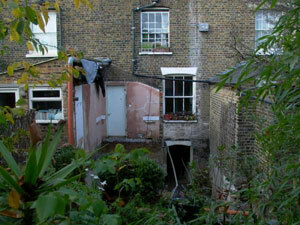 Rear garden excavated to provide additional accommodation. 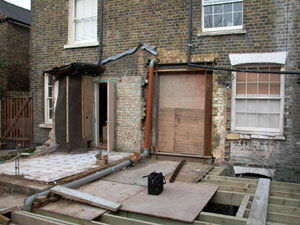 New structural floor formed to the rear excavation. Steelwork and party wall erected.